As a follower of Social Selling I am always looking out for people, articles and stuff that keep me informed about the progress of social selling being adopted as a practice. 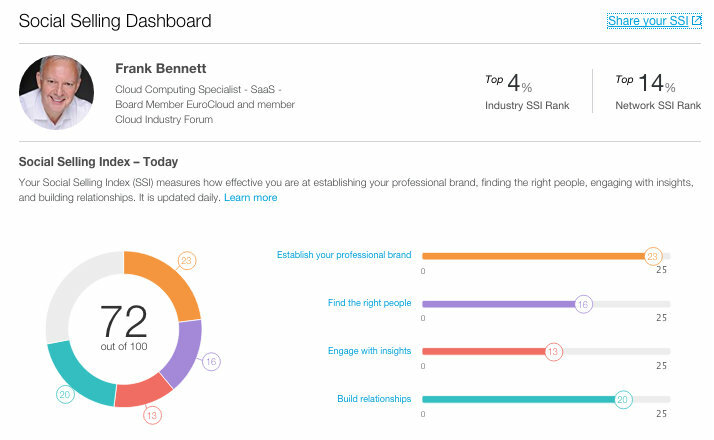 So when I read a blog and navigated to LinkedIn Social Selling Index (Google it) I found out my score. So what? Should I be content or strive to get to a higher score? It is updated daily so if I am holiday for a week presumably my score will suffer due to inactivity and there will be times when I am researching and posting content when I would expect my score will increase. For now I’m good as the two indicators that matter to me are my brand (sounds corny doesn’t it, after all I am not a packet of cornflakes) and building relationships (that I value) but in a thoughtful way rather than just to add to the numbers. 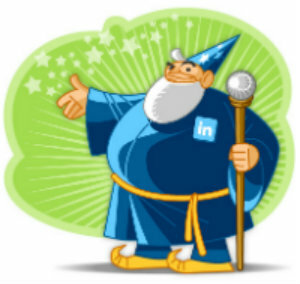 I am still amazed at the number of salespeople that have not picked up on the potential of social media and know nothing of social selling. It reminds me of a story of a veteran PR exec who was called in the office one day to be told their services were no longer required. When they asked why they were told; you failed to recognise our clients want to talk about social media and you have ignored it. Lesson is to keep abreast of developments as age and experience need to be complemented by relevance.